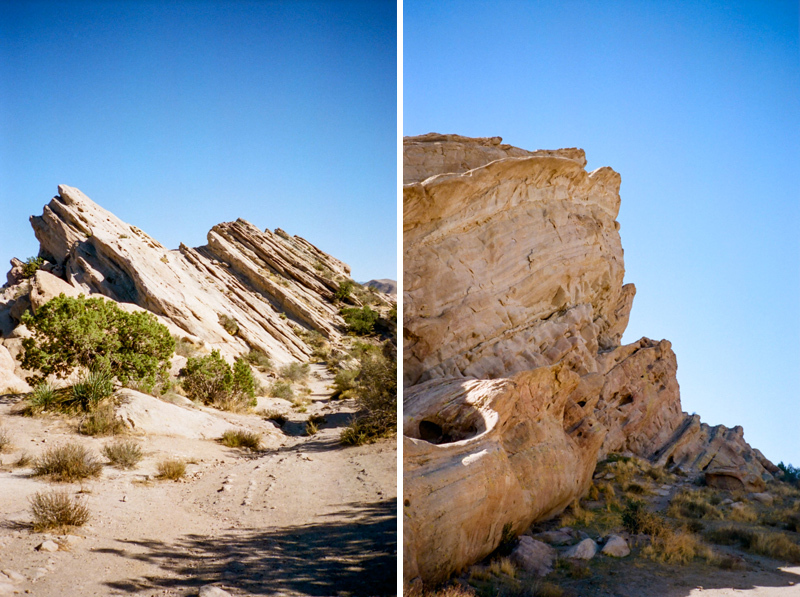 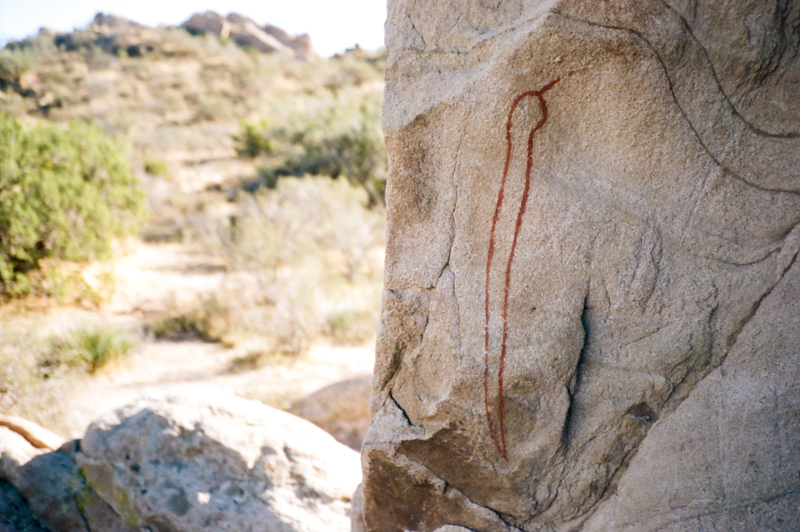 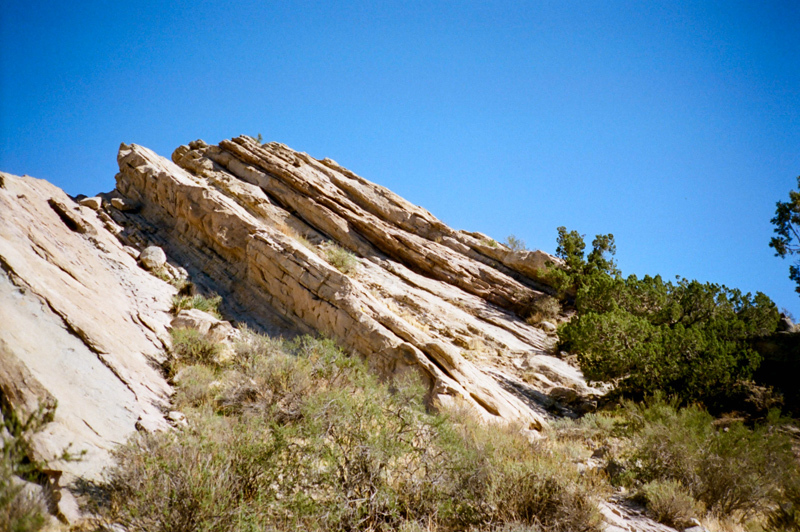 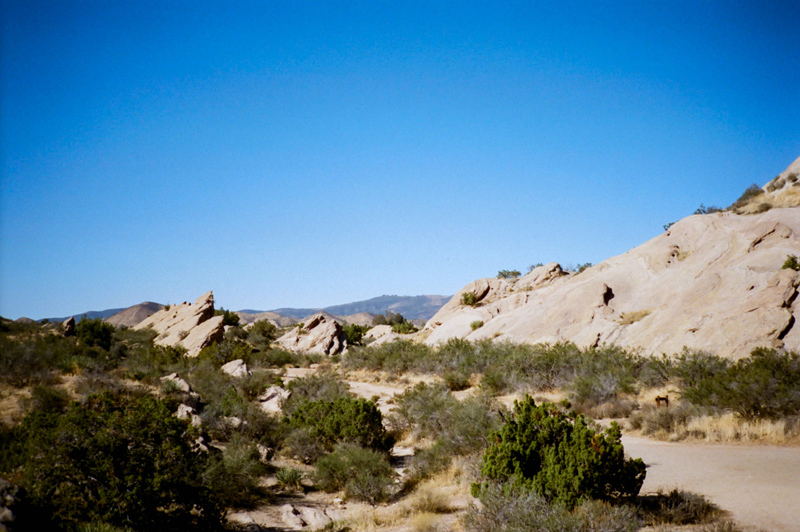 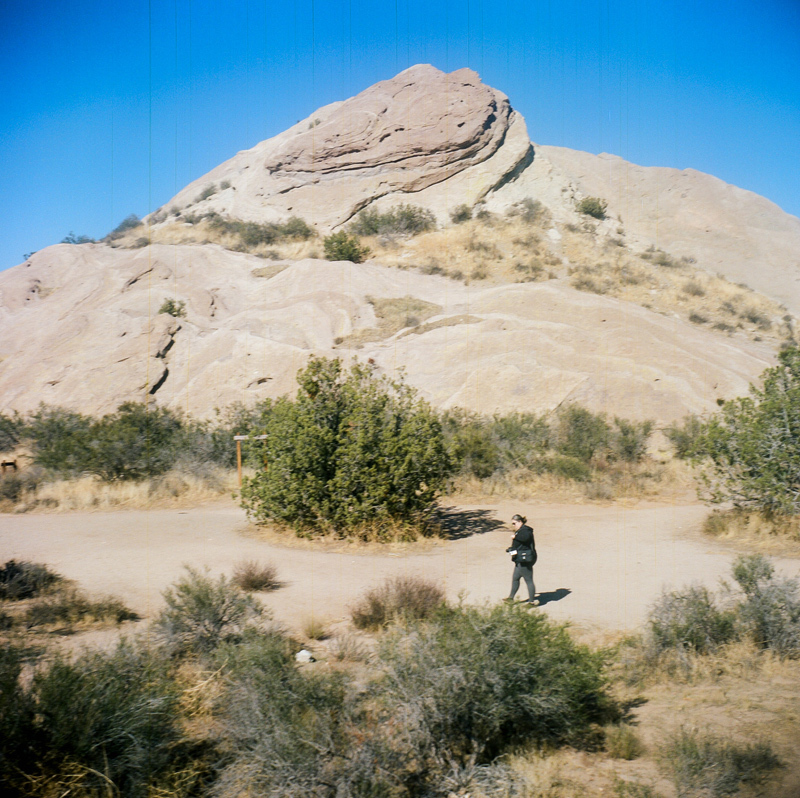 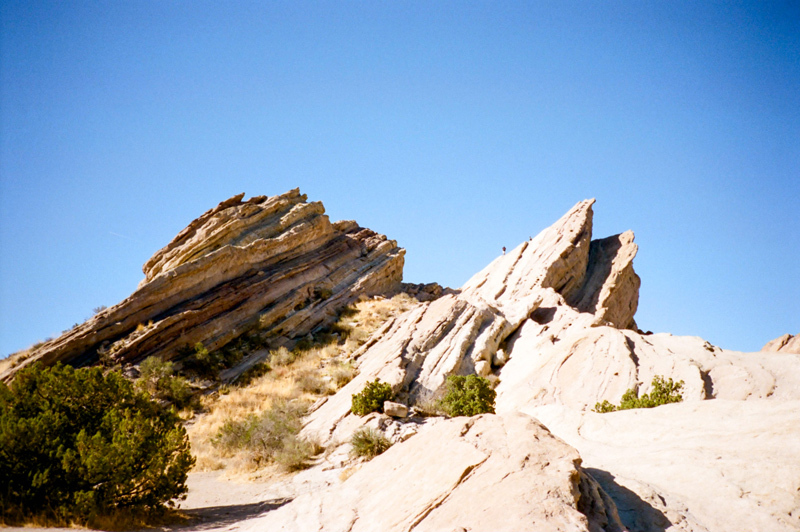 I can’t remember how I first heard about Vasquez Rocks, but I’d wanted to go there for years before I finally made the trip when my sister was visiting. 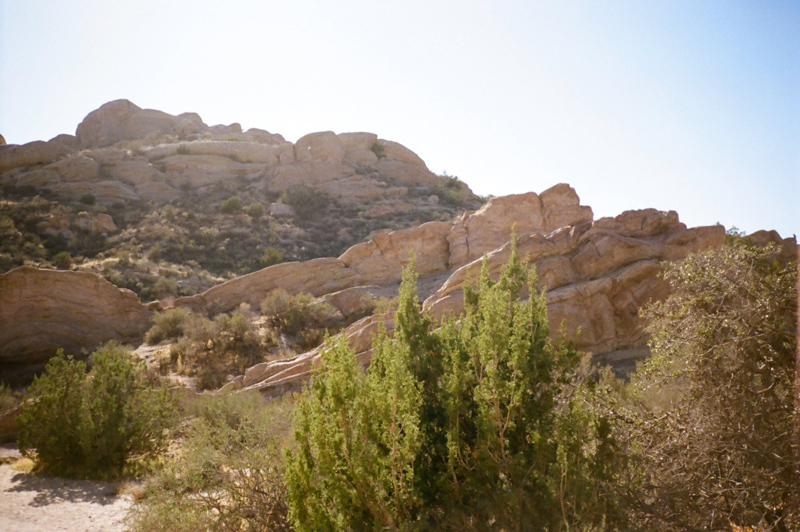 It’s a short day trip or half day trip from LA, and there’s a nice visitors center and lots of trails around all the rock formations. 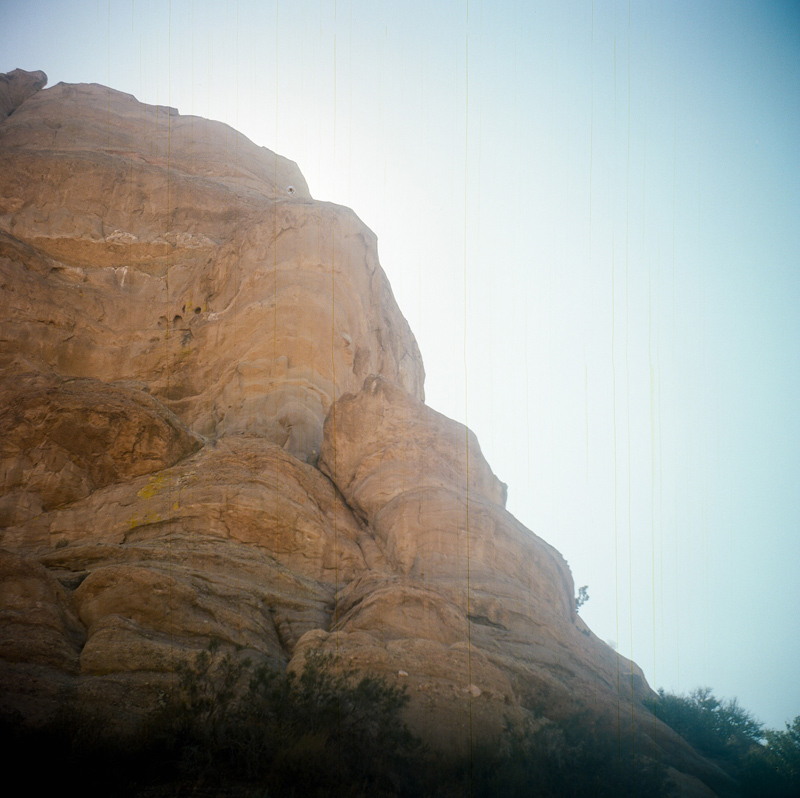 We didn’t get too crazy climbing the steepest rock faces, but you can see some tiny explorers at the top of the rocks in some of the photos! 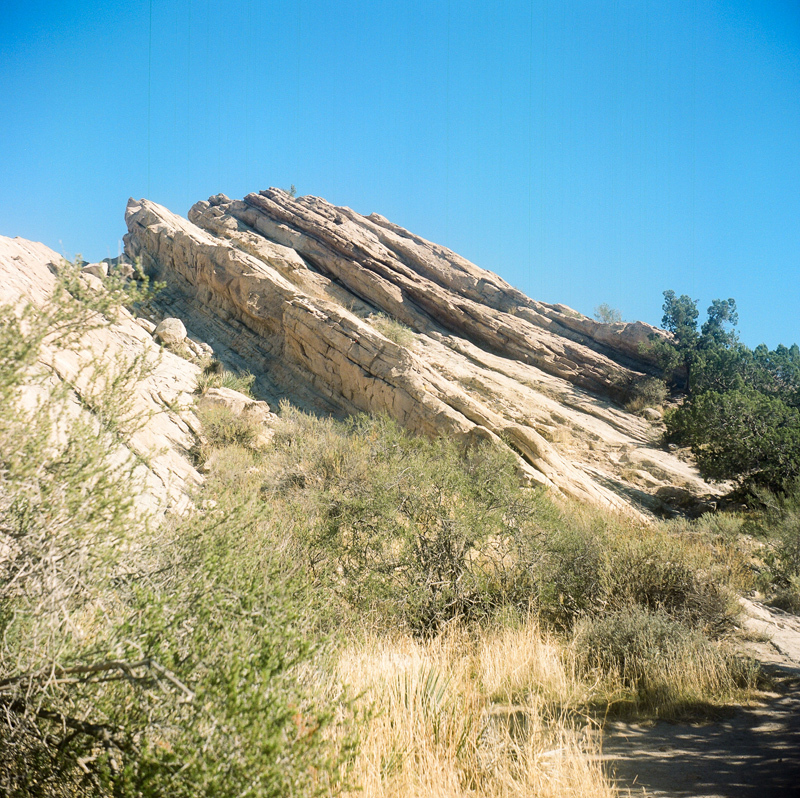 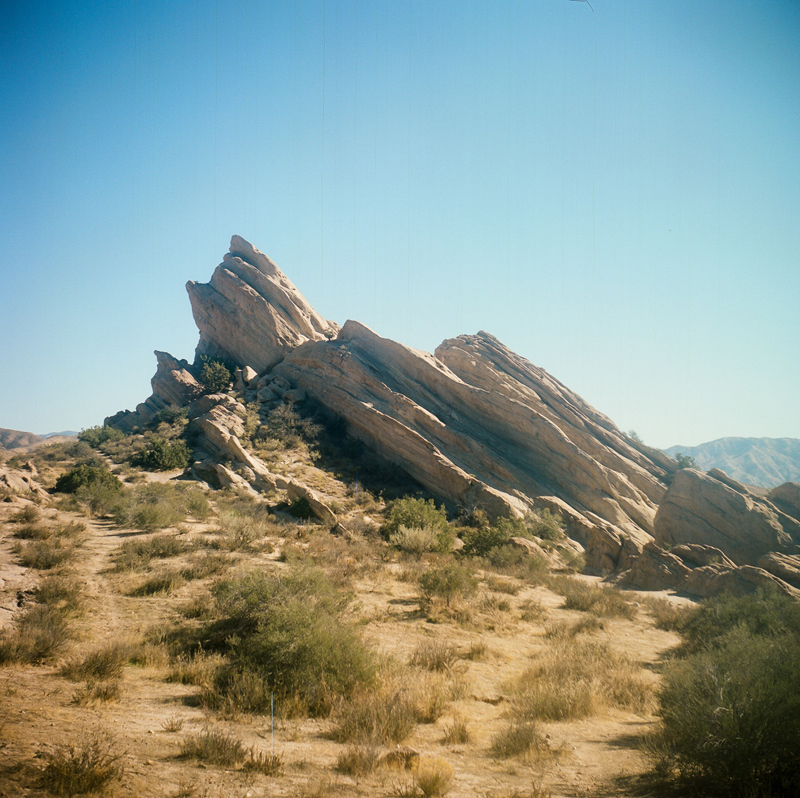 I took my late grandfather’s vintage Kodak Duaflex iii medium format camera, and my Fuji Klasse 35mm compact camera, both with Portra 400 film. 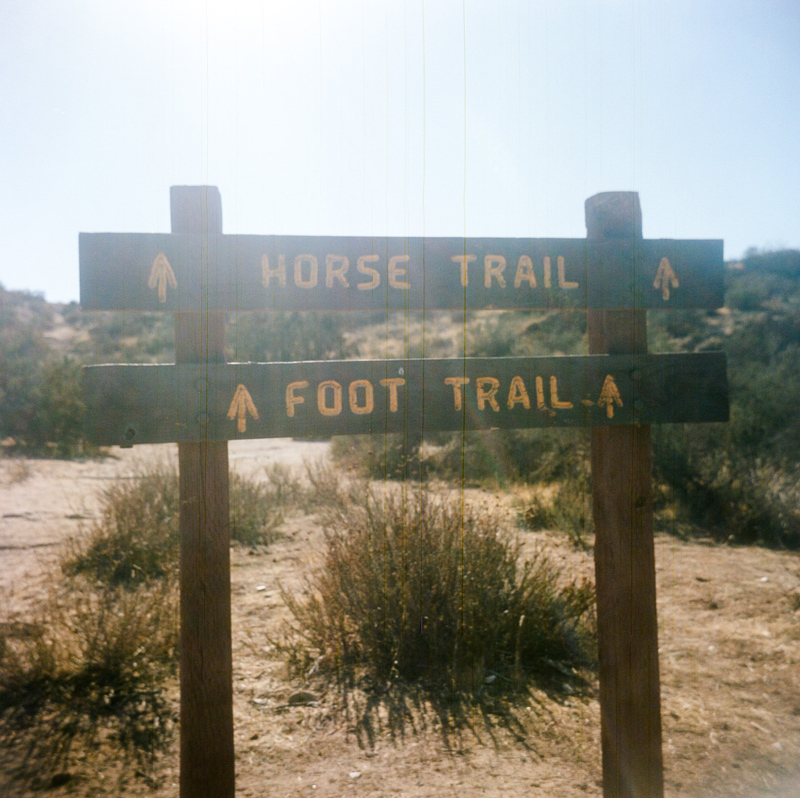 (There are a few scratches you can see in the square film and hopefully I can get it serviced to fix those in the future, but it’s also a 70 year old camera so I’m cutting it some slack!) 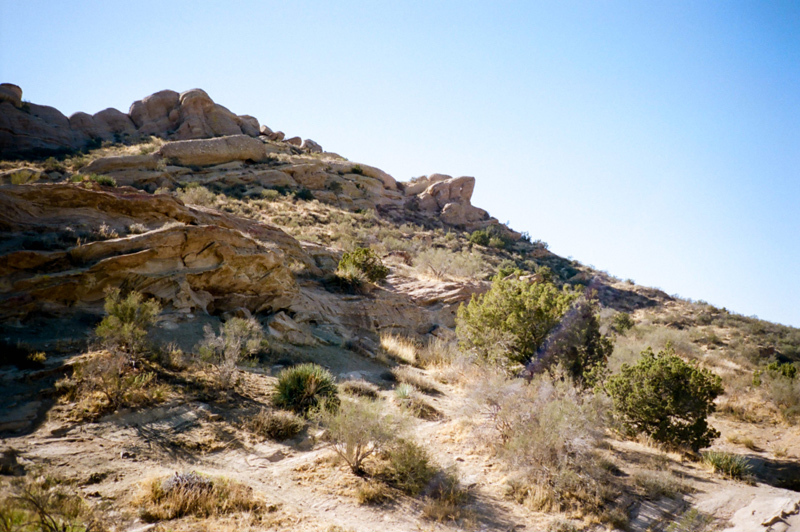 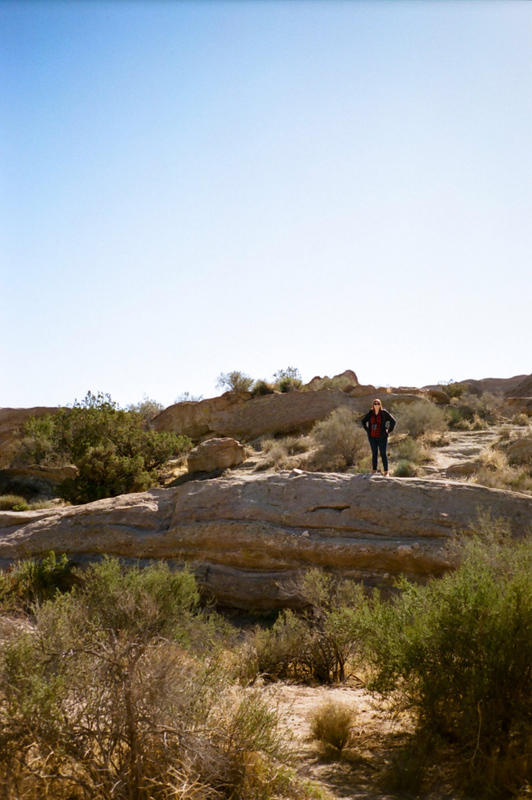 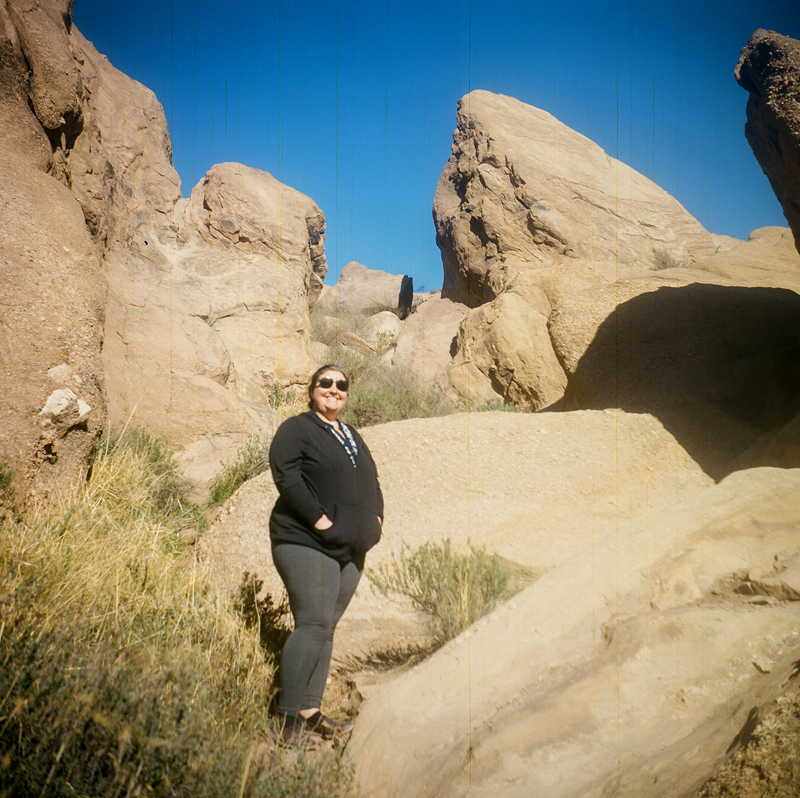 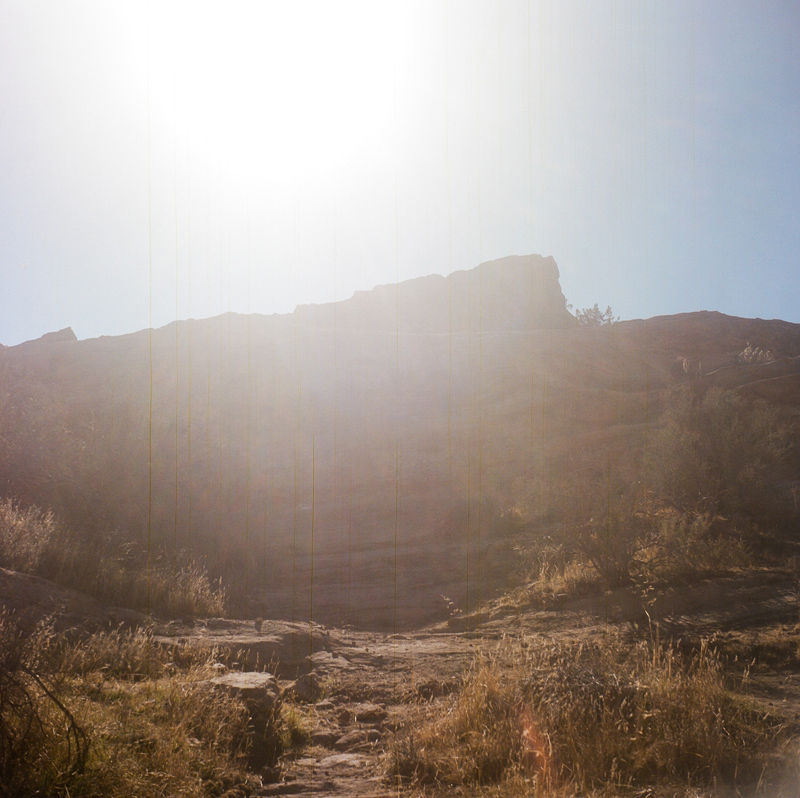 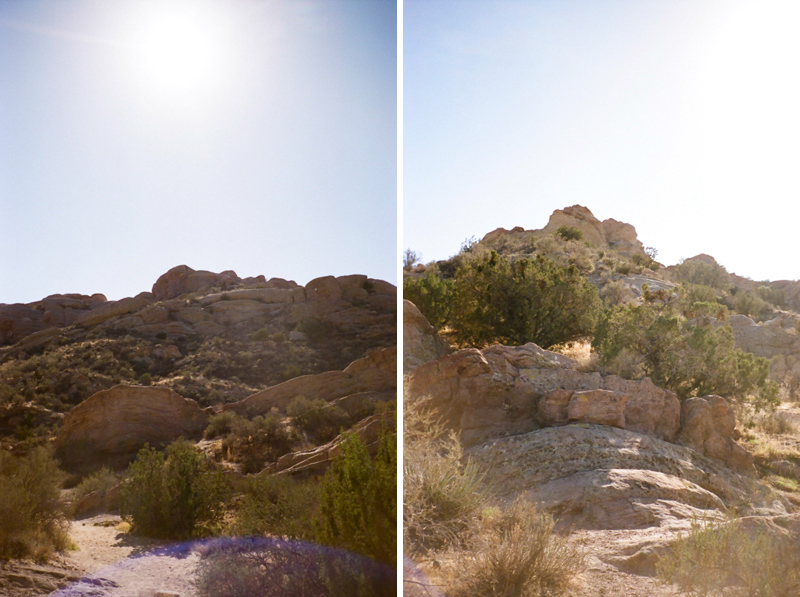 The weather was perfect for a leisurely hike, and I also had fun location scouting the area as a unique setting for a desert elopement or portrait photos that is a little closer than Joshua Tree. 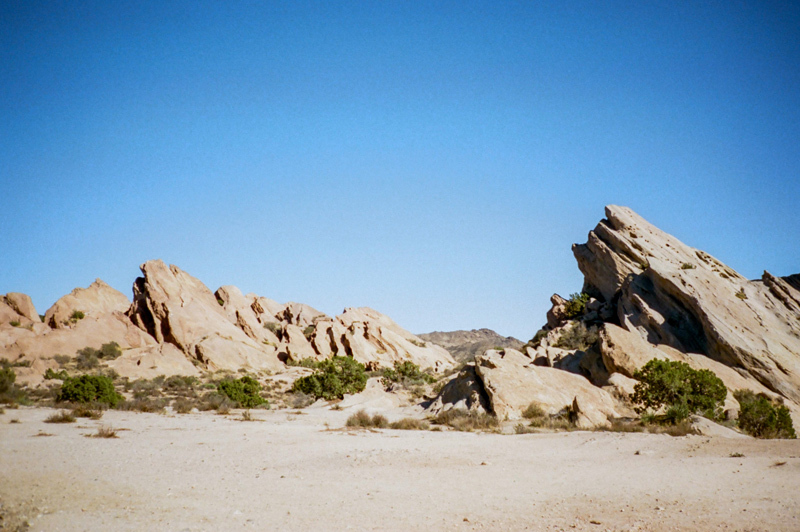 I’m glad I finally checked this off my “cool places to explore in Los Angeles” list and I definitely want to go back again!